What inspired the setting for your book? I’ve been on several cruises, each different in its own way, to diverse destinations in various types of weather. Every one, though, had an almost mystical feel about it, an excitement and an awareness of things to come, as yet unseen. 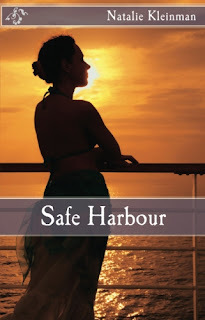 There is a romance about cruising that doesn’t necessarily have anything to do with the love between two people, though of course that isn’t the case in Safe Harbour. Nothing could be more to the fore than the feelings Beth and Ryan have for each other. I heard you had a problem with naming your characters? I didn’t actually have a problem at all. They, on the other, had strong objections to their original names and insisted I change them. As I did so their personalities asserted themselves and my characters became more real to me. I’ve learned over time that try as I may to write my protagonists they always have the last word. Beth, shows a huge amount of courage in taking the action she did? Are all your heroines so strong? I like to think so. I’ve never been able to write the type of woman who fawns on her man without having a mind of her own. I believe we’d all like to trust we would take what we saw as the right decision, rather than the easy option. There’s no doubt that Beth does that! Beth faces a terrible dilemma. Was there no other action she could have taken than the one she did? I suspect there might have been several. None, though, would have allowed her to remain true to herself and the principles that guide her. I prefer to believe that the heartbreak they go through in the end forges an even stronger bond between her and Ryan. There is one chapter in the book that is quite sexually explicit. Did you find this difficult to write? Strangely enough, no. Perhaps had I thought about it I might have done but once I started I didn’t think about it…just wrote to the end. Naturally it needed a bit of editing but I truly believe that if I’d stopped to consider it would have ended up being stilted. I don’t believe it is. In fact, I have received several compliments that it is very sensitively written. I loved your characters in Safe Harbour. Can I look forward to seeing any of them in future books? You aren’t the first person to have asked me this question. I felt a strong affinity with Ryan’s sister, Siobhan. I think it’s possible her own story is waiting to be written. I have Safe Harbour downloaded onto my Kindle but would like a signed copy for my friend's birthday. Is this possible? I’d be delighted to send you a signed copy. If you let me have your details by email at natalie@nataliekleinman.co.uk I’ll be happy to arrange this with you. Is Safe Harbour available to borrow from my library? Not at the moment but I’m happy to say it will come on stream in March of next year. I’m very excited about this. Having written three contemporary romances – the second is published and my latest is at present with my agent, Lisa Eveleigh – I have decided to take a leap of faith and attempt a romance set in Regency times. I grew up with Georgette Heyer and Jane Austen and I love the elegance and etiquette of that period. This project will be longer in the writing – Safe Harbour took about six months – as there is a huge amount of research to do first. It’s important for my own sake and that of my readers that I get it right. It’s been a delight to reproduce some of the questions here. Do you have a question you would like to ask about the book? If you've already read Safe Harbour please tell your friends they can read it for free if they download before midnight on Sunday 30th August. If you haven't, I hope you enjoy it. I’d love to hear from you. Pursuing my research into Regency London, I managed to find a day when it didn’t rain to take a stroll around St James’s. This was nothing short of a miracle considering the mixed batch the weather has thrown at us recently. A lifetime resident of our amazing capital, I still never cease to be amazed at its beautiful and varied architecture. I think it’s easy sometimes to dismiss what’s on our own doorstep while eulogising over the treasures on offer in other cities of the world. Impossible though not to be affected by the sight of a wide ribbon of water with its many iconic buildings on either side as one drives across one of the bridges that span the Thames. Or to marvel at the history as one takes a boat trip with the added benefit of a running commentary. On this day though I was on foot and heading for an area that was frequented in times past by characters, both real and imagined, who appear in the novels of my heroine, Georgette Heyer. Even the modern day traffic and the roadworks barely impinged as I turned into St James’s Street. Instead I imagined horses, imposing carriages, beautifully dressed men and women, people on foot - though I was pulled up short when I considered the surface of the streets. Were they cobbled? Made of mud? Covered with wooden slats? I realised I had (and still have) no idea and I would appreciate any input from those of you in the know. Many delights assailed my senses as I trod my way down the now, thankfully for me, solid pavement, but there were hidden gems as well. I turned into Blue Ball Yard, a narrow way which led into a beautifully preserved mews dating from the 1740s. With its stables below and rooms above I could, even in its modern day presentation with outdoor seating and hanging flowers, imagine noble steeds as grooms brushed their coats to a shining finish, well-maintained tack, the pleasant smell of a horse yard. For a time I was lucky to be the owner of a skittish but lovable half-Arab horse so the things this experience evoked were real memories, not just my imaginings. I returned again to St James’s Street to enjoy its delights before taking another diversion into Pickering Place. Through the passage to where it expanded at the end, I found myself standing where it was reputed the last ever duel in London took place in the 1840s. Was it swords or pistols? I must check. Pickering Place was also home a notorious gaming hell which Georgette Heyer mentions in several of her books. At the end of St James’s Street at the junction with Pall Mall stands St James’s Palace. It is historically and to this day a very important royal residence and though its doors are not open to the public it is much used for official functions. On the day of my walk, though, I could only imagine the royal princes in residence in times gone by. I have no doubt there was much that was sordid in Regency times, as indeed there has been in most periods of history, but to me it evokes elegance, etiquette and beautiful buildings. 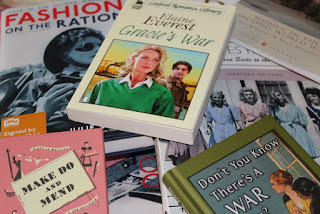 I’m looking forward to continuing my research as I plan my next novel, an innovation for me. I am moving from contemporary romance to an inspiring bygone age. I hope my heroine enjoys her time there.